KEITH MACKENZIE spoke to Skye’s Malcolm Jones ahead of Runrig’s final performance this weekend…..
After 45 years, Runrig will bring the curtain down on a remarkable musical career this weekend when they play their last ever shows. An exodus of west Highland and islanders will be among the throng at Stirling’s City Park in the shadow of the town’s famous castle this Friday and Saturday. They will be there to enjoy and celebrate one final time with a band which owes its roots to Skye and North Uist, and became an international flag bearer for Gaeldom’s language and tradition. 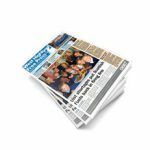 Speaking to the Free Press ahead of the ‘Last Dance’ shows, guitarist Malcolm Jones said he held conflicting feelings but there was excitement none the less at a final performance which will chart over four decades of music. He added: “I would say we’re all approaching these final concerts with mixed emotions. There is certainly great excitement surrounding them and anticipation is high amongst both band and audience. 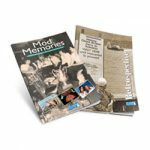 “The Stirling concerts will be celebrations of our long musical journey, albeit tinged with the realisation that these are farewell appearances and so naturally emotions will be high – this is something we experienced recently at the farewell concerts in England and Europe – all spectacular events but nevertheless very moving. Jones has been with Runrig all his adult life, having first joined the band on stage as a 17-year old at a dance in Portree’s Skye Gathering Hall in late 1977. 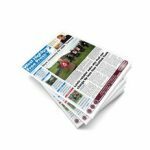 He hopes the set list – which will be lengthy – will give a full reflection of the groups’s journey from a three -piece Scottish dance band playing island village halls to one which has sold out major venues across Scotland and Europe. He said: “Compiling a set list is always a dilemma, with such a large back catalogue to choose from. Of course, there are certain songs that have to be included, otherwise we’d be lynched – but it’s also nice to pick some lesser-performed songs, possibly giving them a fresh twist. 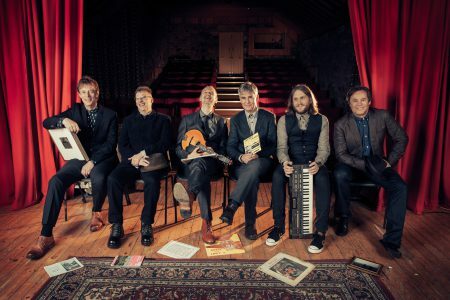 Right down to their name – which was taken from the university notes of the group’s first box player Blair Douglas and is a nod to the system of agriculture which characterised the west Highlands until the 19th century – the history of their native communities has shaped Runrig’s lyrics and songs. Jones believes that staying true to their roots – fusing them with the popular rock and pop influences they listened to in their teenage bedrooms – has made sure the band’s popularity has endured through the generations. Authenticity has been the hallmark of a band which can essentially still trace its origins to the three Portree streets of Fraser Crescent, Kitson Crescent, and Balmoral Road. 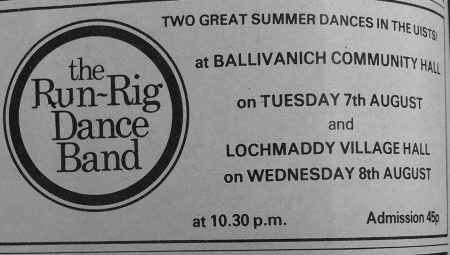 The original Run-rig dance band was founded by the Skye-raised sons of North Uist Calum and Rory MacDonald, along with Blair Douglas in 1973, and a year later the trio were joined by Donnie Munro, who became the band’s singer for more than two decades. Munro, who left in 1997 and was replaced by Canadian singer Bruce Guthro, will be on stage as a special guest this weekend. 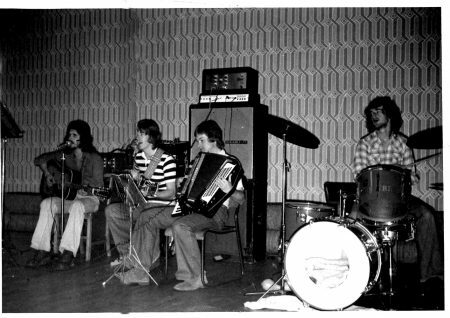 Over the years other musicians have played their part in the unique Runrig story – the late Staffin-born accordionist Robert MacDonald, keyboard player Richard Cherns and Pete Wishart who left to become an SNP MP. But this weekend the MacDonald brothers, Jones, Guthro, Iain Bayne and Brian Hurren will close out a journey unprecedented in Scottish popular music. Jones’ hopes for a legacy of music that people can continue to enjoy, and be inspired by, seem assured. As for the future – the band say it might be the end for Runrig, but it won’t mean retirement or the end of their music-making careers. 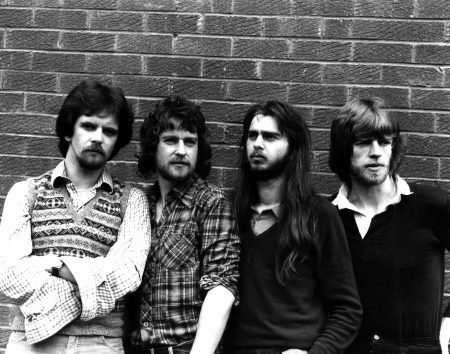 Said Jones: “The first thing to say is that there will be a long wind-down period – for instance we’ll film and record Stirling, so that will have to be worked on and brought to some sort of completion, plus there is the whole ongoing administration of the band archive and legacy which may lead to some interesting sideline projects. “Beyond that, we’ll all still be involved with our own individual performing, writing and music-making projects – that’s something you never retire from. Extra island flights have been put on and ferry services are predicted to be pushed to capacity ahead of the concerts, which are expected to attract some 40,000 fans over the two days. Such was the demand for tickets that the final night show sold out within minutes of going on sale last September. As well as Donnie Munro, the shows will include a set from the acclaimed North-Uist singer Julie Fowlis.